Berit is our newest horse in the barn and she arrived in spring of 2017. 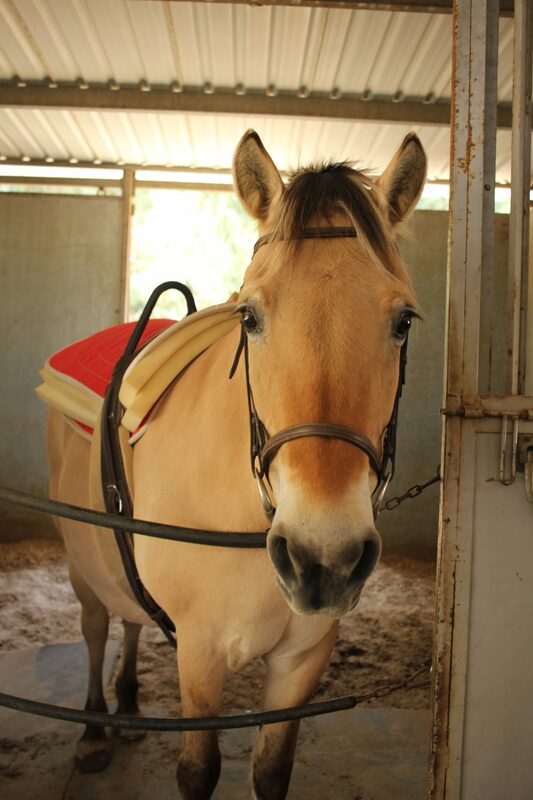 Berit is a 23 year old Norwegian Fjord, which is one of the oldest breeds of horses and has a very distinctive look. They are always tan with a main and tail that is both black and white. In her past, Berit was a brood mare (meaning she had babies), and also worked as a therapy horse at another facility besides being someone’s trail horse and love. She found her way to AWH and fits right in! Berit loves to say hi to people when they walk past; she is very social.